You were once rusty, but have since been redeemed. We all know what that first spring riding day is like. That asphalt looks really rough, guys. And those SUVs are much bigger than were last year. Does this jacket make my biceps look big? Be anxious no longer! The Speed & Strength Rust & Redemption collection is here to assuage your fear. Vintage inspired gear with the obligatory S&S twist will keep you safe from pothole-plagued roads and distracted drivers alike. First up is the Speed and Strength Rust and Redemption Leather Jacket. Is it a cafe jacket? V-twin hide? Punk rock concert attire? All of the above! Everyone will know what type of rider you are when you strut through the streets, leaving your oil-dripping monstrosity just a few blocks down the street. A murdered out chassis means your career as a walking billboard is in the past. 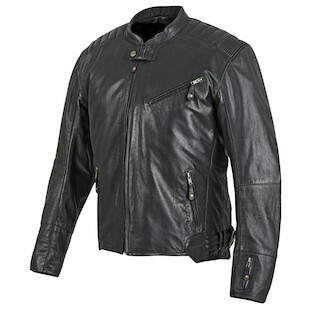 A premium cowhide construction with pockets for shoulder, elbow, and back protection will keep your skin in tact. A decent perforation scheme lends itself well to warm weather riding, but don’t expect to be sweat free. Want v-twin style without the Harley leather price tag? 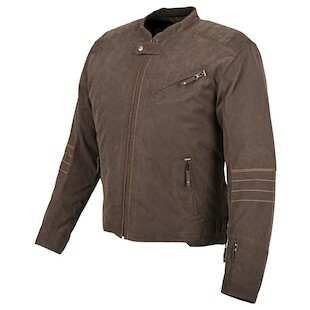 Enter the Speed and Strength Rust and Redemption Textile Jacket. Now with Harley orange stitching! A water resistant 700D shell will stand up well to the mean streets of wherever-you-live, while CE rated vault armor will take care of any pot-holes you decide to go diving into. Highway racers beware, the Rust and Redemption is just a little too lightweight for anything but city jaunts. Riding in Levi’s give you the heebie-jeebies? Want some Kevlar in your life? 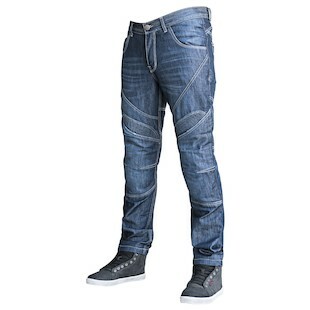 It seems Speed and Strength was listening in on your fever dreams and have released a new pair of armored jeans - of the R&R variety. 12 oz pre-distressed denim will leave cagers unaware of your responsible streak with safety gear. And you know what’s even better? These things don’t fit like clown pants. While they’re far from your effeminate brother’s skinny jeans, the Speed and Strength Rust and Redemption Jeans will have a much nicer cut than some of the other riding jeans out there. Kevlar panels in the knee, seatm and hips means you can get in a variety of crashes and still walk away with minimum road rash. Short cut. Vintage. Retro. 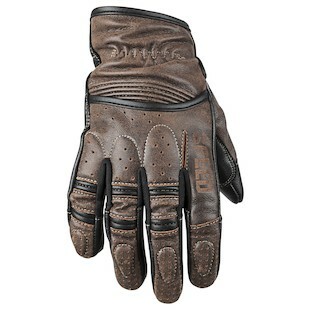 Contrast stitching, distressed leather, and style abound - the Speed and Strength Rust and Redemption Gloves just beg to twist the throttle of your rattling rat-rod. A goatskin shell and foam padding will keep your hands together much better than the duct tape and rubber bands you use on your chop shop mo’sheen. Jacket? Check. Gloves? Check. Jeans? Check. Ready to ride? Not quite. You forgot your brains, man! Luckily for you Speed and Strength didn’t. It’s a good thing, too - no one likes a brain bucket. Add a fresh coat of paint to the venerable SS600 and VOILA! 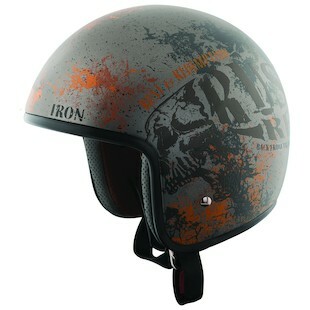 The Speed and Strength SS600 Rust and Redemption Helmet. The same DOT-touting, fully-ventilated ¾ helmet we all know and love? Yes, please. More of that. A rusty orange and gray paint scheme means the SS600 R&R will look right at home next to the rest of your Rust and Redemption gear. Just remember to put it on your head and not on your back seat. Helmets don’t work very well when they aren’t on your head.